These four buses were on hire for less than a month after the air raids of Holy Week 1941. The raids were on the Tuesday and Thursday. The next day was Good Friday, so it is unlikely that the buses would have arrived until the day after the bank holiday, Tuesday 15th April. The buses had all been returned before the end of April, so it is likely that the hire period would have been two weeks. 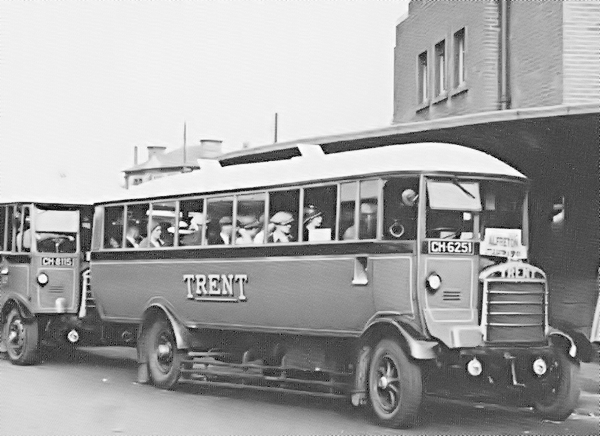 There was no conflict between the Trent Fleet numbers and CCT numbers so the Trent numbers were retained.